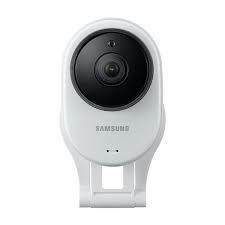 The camera provides up to 1080p Full HD streaming video to your computer/laptop and up to 720p on your mobile device. The large 1/2.8-inch CMOS sensor allows maximum light, yielding vivid colours, brighter video and stunning detail. No matter where you are, you can help your child study or tell your dog to get off the couch with Two-Way Talk. The camera’s built-in audio minijack accommodates external speakers (not included) to further amplify and enhance the sound quality. The camera is your eyes and ears when you’re away, detecting motion and sound you should know about and notifying you through instant push notifications to your mobile device. In low light conditions, audio detection has you doubly covered. Motion Zone Select allows up to three areas in the camera’s field of view to fine-tune your monitoring. If you want to keep your eye on the window, but the dog runs back and forth beneath it, simply draw a box around it on your screen and the camera will alert you only to motion at the window. The built-in card slot allows recording onto a microSDHC memory card** with up to 32 GB capacity. Whether you set your camera for continuous, scheduled, or events only recording, you can view the video on your mobile device from anywhere. When the camera detects motion or sound, an instant push notification or email can be sent to your mobile device for real-time monitoring. Up to 30 seconds of automatic recording allow later review with authorities ─ or with the “Not Me” kid who ate all the cookies. Samsung’s 128° Ultra-Wide Angle lens gives you a wider view to maximize your recording coverage without compromising quality. Want to know what the kids are doing with the crayon over there in the corner? The camera puts you right there! The camera features an advanced IR Cut Filter for accurate, vibrant colors. Even in darkness, the camera provides bright, clear night vision up to 16 feet. No more need for barefoot late-night safety checks! The Samsung Light Enhancer enriches available light in dark areas to give you superior image detail in low light conditions. If you wake up with the nagging feeling that you left the burner on under the kettle, a quick check from your Smartphone will put the issue ─ and you ─ to bed.